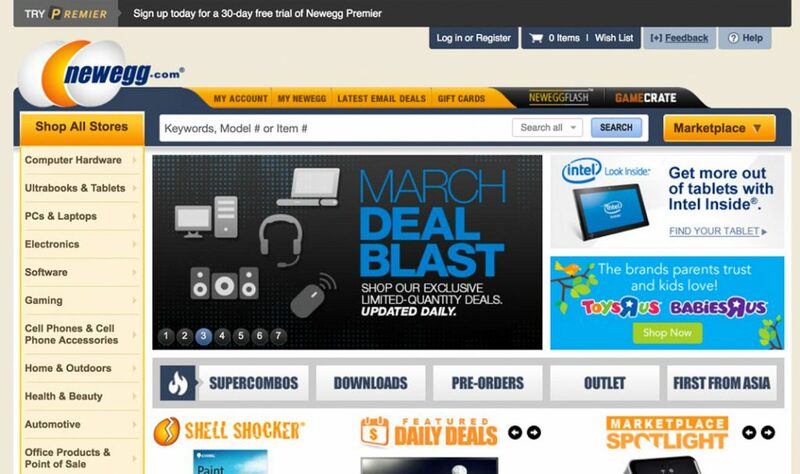 A pictorial journey through the updates and redesigns of the Newegg homepage. 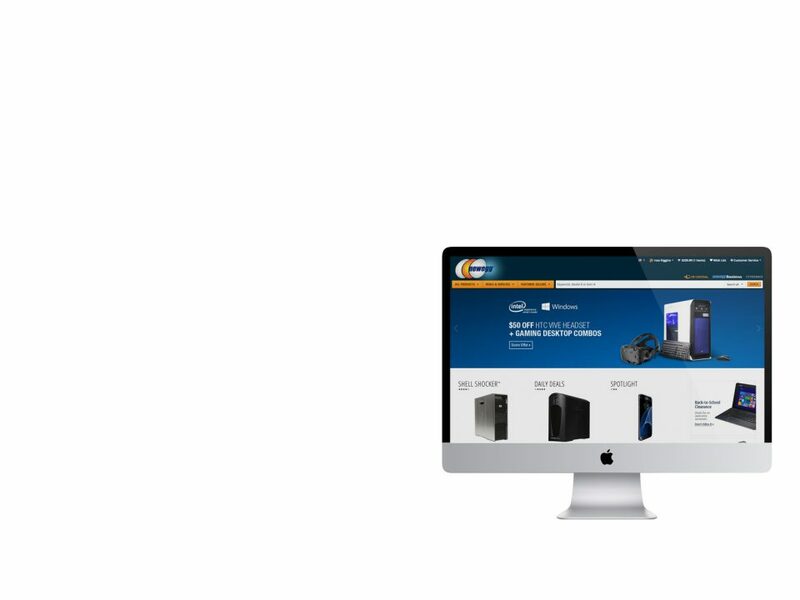 Although mobile is growing fast in e-commerce, Newegg's desktop website continues to be the workhorse for the vast majority of it's tech-focused customers. That means the stakes are high when it comes to redesigning and refining how customers interact with the desktop website. 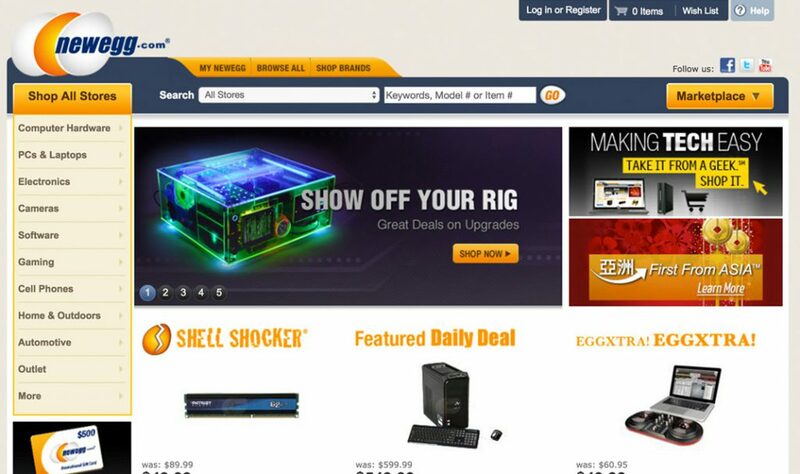 Since taking the helm overseeing Newegg's customer experience, the website's front door, the homepage has undergone several updates and redesigns. I was hired as the Sr. Manager, Web Design in February, 2012. 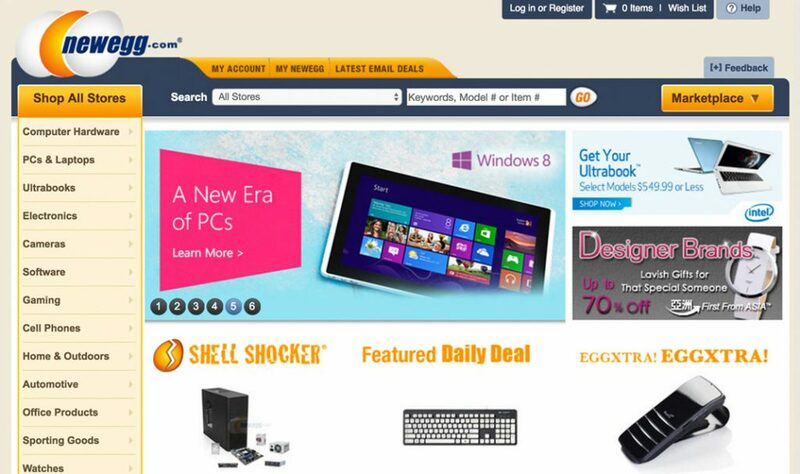 Newegg was already a $2.7 Billion dollar, tech focused e-commerce retailer. It was ranked #12 on Internet Retailer's Top 500 list. 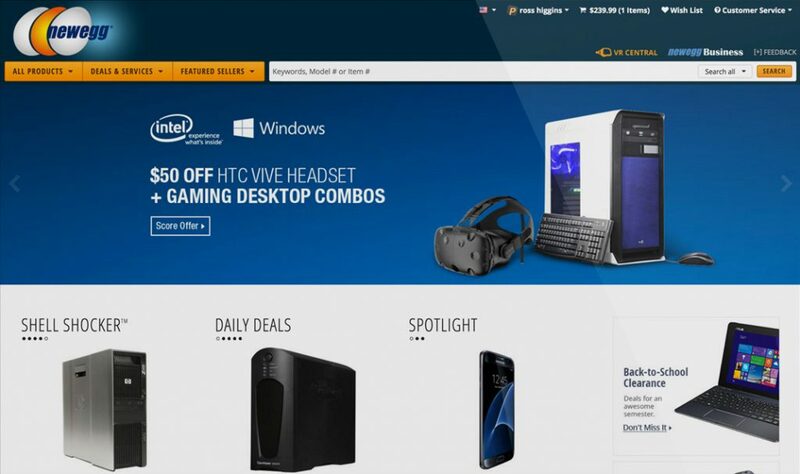 Since starting my helm overseeing Newegg's customer experience, the website's front door, the homepage has undergone several updates and redesigns. Focused on other areas of the shopping experience, by 2013, we only managed minor updates such as moving the social media icons to the footer and adding a "feedback" link to the global header to collect voice of the customer feedback. In 2014, we launched a major update to the homepage that focused on improvements to the merchandising of our deals, products and assortment. Introducing product carousel modules and lazy loading of content, we were able to increase the number of products on the homepage while shortening the page length 35% an reducing page load times by over 60%. In March of 2016, with the full support of the Founder and top executives, and in just 5 months, we launched the first completely reimagined homepage design since 2005. This homepage refresh was the first phase of completely updating the visual design of the entire website. The launch of the new homepage design introduced a larger, more impactful leaderboard banner. Under my design direction, having recently taken over the functional management of the Marketing Department's Creative Team, higher standards and an emphasis on bespoke imagery intended to inspire our customers was instituted.